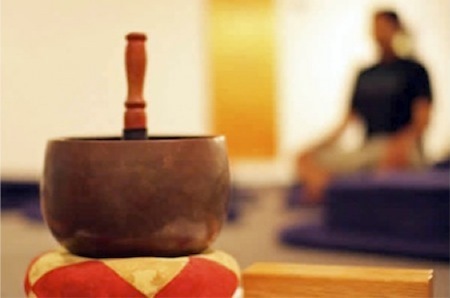 This program is a thorough introduction to meditation practice. This simple and effective course introduces 2500 year-old wisdom that is fresh and applicable in today’s world. Meditation is a way to make the mind more stable and clear. From this point of view, meditation is not purely a Buddhist practice; it’s a practice that anyone can do. It doesn’t tie in with a particular spiritual tradition. If we want to undo confusion, we need to be responsible for learning what our own mind is and how it works, no matter what beliefs we hold. In meditation, we’re looking at our experience and at the world intelligently. The Buddha said that this is how we learn to look at any situation and understand its truth. This is what a Buddha does—and we are all capable of being Buddhas, whether or not we are Buddhists. We all have the ability to realize our naturally peaceful minds where there is no confusion. We can use the natural clarity of our mind to focus on anything we want. But first we have to tame our minds through shamatha meditation. Both cushions and chairs are provided.